Google now labels sites without HTTPS as “NOT SECURE” in the browser bar. They have indicated they will turn this notification red as well in an upcoming Chrome release. This means it’s time to get your website up to date with the latest standards. 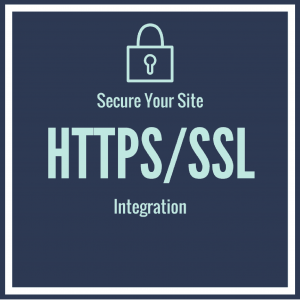 We here at iMark Interactive can help you with integrating SSL onto your site and even on your host. The price of $47 is per domain. This does not include the price of a SSL certificate if you can’t get one from your host. We can help you find a cheap option if that is required. You don’t need to worry about dealing with the technical aspects. We will take care of it for you.